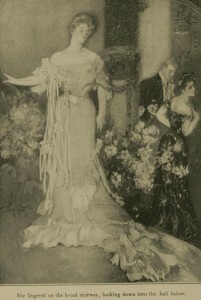 This entry was posted in American Literature and tagged Edith Wharton, Henry James, The House of Mirth by Simon Lavery. Bookmark the permalink. Tremendous piece, Simon, really excellent stuff. I like very much your attention to the society of the day, it really sets the context for many of the developments in the novel. Great commentary on Seldon as well, very insightful. In spite of her flaws and somewhat impetuous nature, I couldn’t help but feel hugely sympathetic towards Lily…she didn’t deserve to be let down by those around her in the end. Thank you for including a link to my post, that’s very kind of you. It’s always reassuring when another reviewer homes in on the same passages – I can still recall that image of the ‘great gilt cage’ fifteen months or so down the line. Thanks, Jacqui. Interesting that I singled out several passages for quotation that you’d chosen too! I agree that we feel sympathy for poor Lily: she can be enfuriating but has a sort of integrity – and her men let her down abominably. The women are no better. 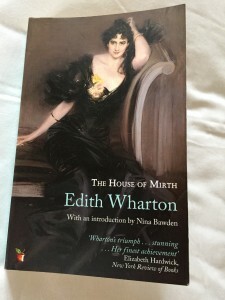 An excellent piece that reminds me how much I love Edith Wharton and this book! It also led me to reread my post which was riddled with typos and other nonsense 🙂 . I tried to clean it up a bit! Thanks, Trevor. Your post was very stimulating. Very enjoyable to return again to the tragic but infuriating Lily Bart, who has been “out” just a bit too long…. I suddenly thought of Hamlet as I read your essay. The strange, negative charisma of the character in stasis. I am hoping that by now he has seen an excellent seafood therapist, shed his old shell, and is happily rolling down Virginia Beach. By way of background, I wrote this poem while staying at Virginia Beach in the week between Christmas and New Years in 1997. I was a government auditor, and we were working on a very time-pressured and intense job at Norfolk, Virginia, which is the home port for a large part of the U.S. Navy’s fleet. As you can imagine, it was a most mournful and empty place at the time, and huge, fat, sea gulls were being hurled into my patio window at night by gale force winds. They made a very strange thumping noise, had horrible cawking cries, and very scary gold eyes. I sometimes get pigeon-shaped greasy marks on a large window at the back of the house – presumably where a bird hasn’t realised there was glass there and has ‘thumped’ into it. Never found any corpses outside, so presumably they lost nothing but their dignity. I like your expression ‘cawking cries’. Nice piece. It is very comforting isn’t it when someone else picks the same quotes? I always find it so. Wildean isn’t a word I’d have thought of, but I see it. Max: thanks for dropping by. Yes, it’s interesting when bloggers zoom in on the same sections – in tune, perhaps. Wildesque? Sorry! I meant I wouldn’t have thought to compare to Wilde, but I’m persuaded now you draw the parallel. Wildean is precisely the right word for what you were saying. It’s the epigrammatic style I meant. Seeing opposites & contradictions & expressing them pithily. No offence taken!